December has flown by! I wanted to share my monthly favorites with you before January hits, so I'm running down to the wire! 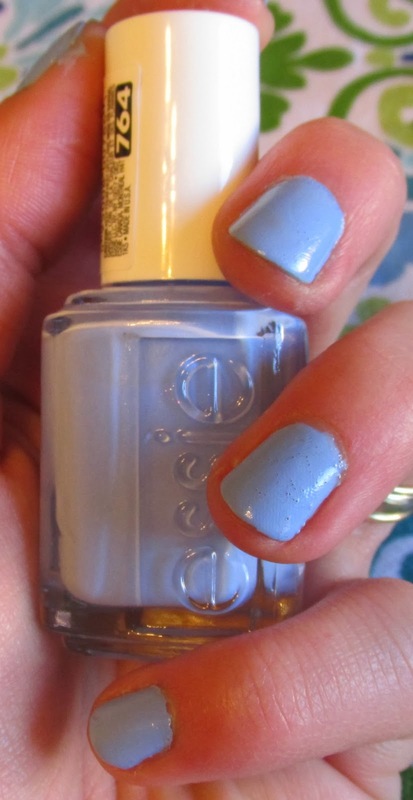 Essie Bikini So Teeny nail polish. I've been loving this nail color all month long. I'm pretty sure this color was intended as a summer color based off the title, but I think it's a color you can wear all year long. It is such a pretty cornflower blue and I think it goes really well with every skin tone. Porron Pitcher from La Tienda. This porron is so much fun to use and will easily get a party going. The best part, it even comes with wine. Check out my previous post to see how to use it. I have absolutely been adoring over the knee socks. 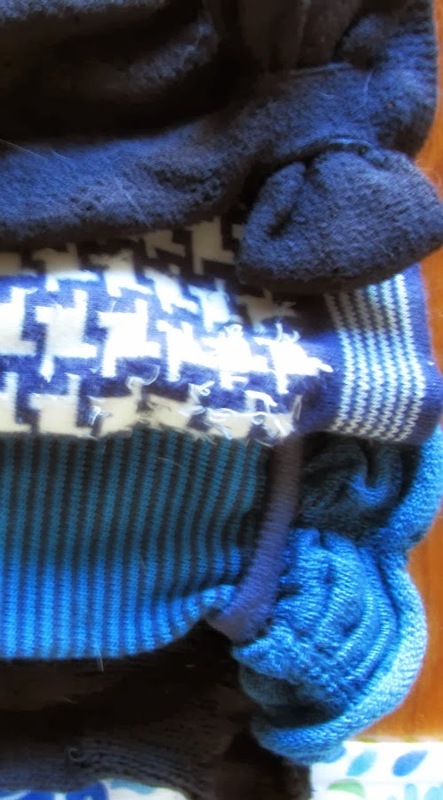 They are a great way to add both warmth and style to a dress in winter. Both Modcloth and Tabbisocks have some great pairs. You can also find them at some local stores. I like to wear tights and then layer the socks over the top. I loved Despicable Me so I had been waiting very impatiently for Despicable Me 2 to come out on DVD. Then when it did come out on DVD they didn't allow anyone to rent it until Christmas Eve. I finally got to watch it the other night and was so happy. The movie is really cute and I absolutely adore the littlest girl. If you haven't seen it yet, go rent it! 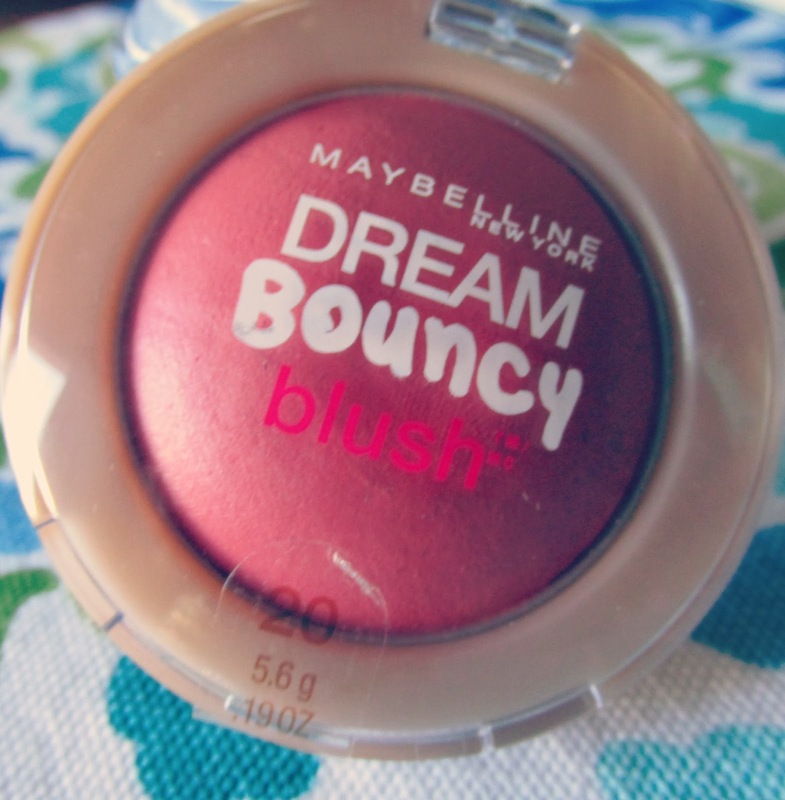 Dream Bouncy Blush in Peach Satin. I've always been terrible at applying blush. I pretty much never wear it because when I do I end up looking like a china doll with big round rouge cheeks. I just can't get the proportions right so that there is color while still looking natural. I've been wanting to try this blush for a while because it is neither liquid nor powder, I thought I might have a fighting chance. This blush is great for novices like me! I can either use my fingers or a blush brush and it looks so light and natural! I'm sure you could make it really bright by caking it on, but I want it to look natural. I've really been enjoying my red hair! It's fun to do something different once in a while. Dying your hair is a really easy and painless way to feel like you have a whole new look. This month our little community seems to be growing! I truly love reading your comments and then going over and leaving comments on your blogs. You all have such fun posts and creative ideas. I love seeing your personality within them. I look forward to watching our community grow in 2014! I love over the knee socks, they always look good! You can't go wrong with them! Happy New Year! Ha, that is funny! I'm glad you like it. :) I've really enjoyed reading your blog as well and look forward to what you do in the coming year!